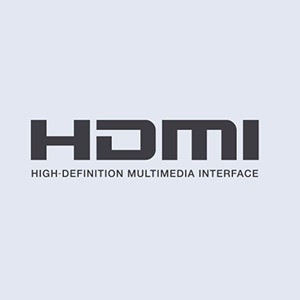 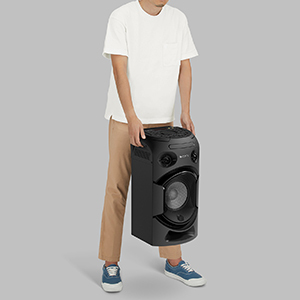 The MHC-V21D has built-in carry handles so you can take it to a friend’s house or easily move the party between rooms. 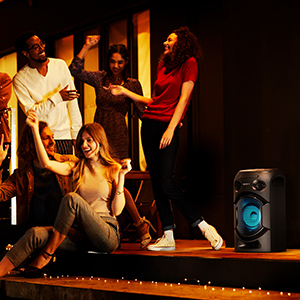 Keep everyone entertained – with two mic inputs you and your guest can go head-to-head singing along to your favourite tunes. 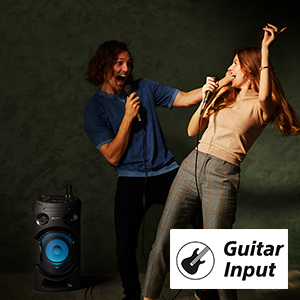 Alternatively, add a rock and roll layer by connecting a guitar to one of the inputs and using the system as a guitar amp. 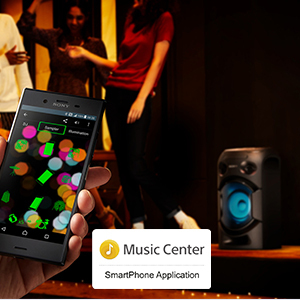 Enjoy three modes – clean for a clear sound, overdrive for a distorted guitar sound and bass for your bass guitar. 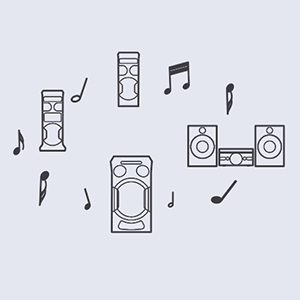 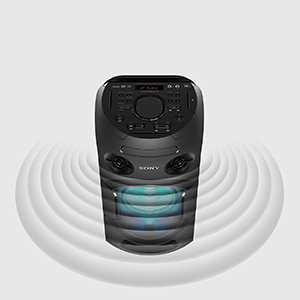 Enjoy more powerful sound by connecting multiple compatible speakers via bluetooth technology. 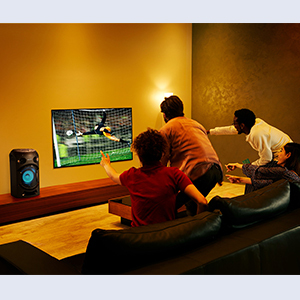 Connect up to 50 compatible speakers and synchronise the music and lighting. 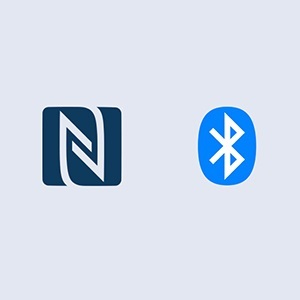 Simply use NFC one-touch to make a bluetooth connection and get streaming instantly.